Product #21857 | SKU NC3FX-BAG | 0.0 (no ratings yet) Thanks for your rating! 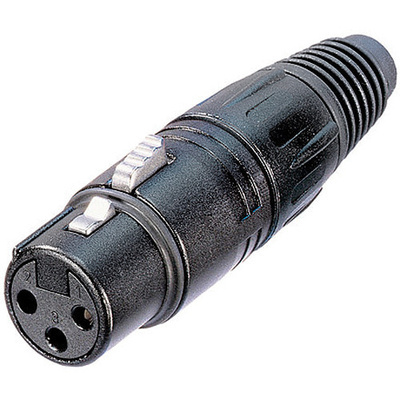 The 3-Pole Female XLR Cable Connector from Neutrik is easy to assemble and requires no screws. The zinc die cast shell provides durability while the rubber gland protects against bending stress.